COLUMBUS – The weather is turning colder, and it’s hunting season in Ohio. The Ohio Department of Health and the Ohio Department of Natural Resources are reminding Ohioans that ticks are still active. 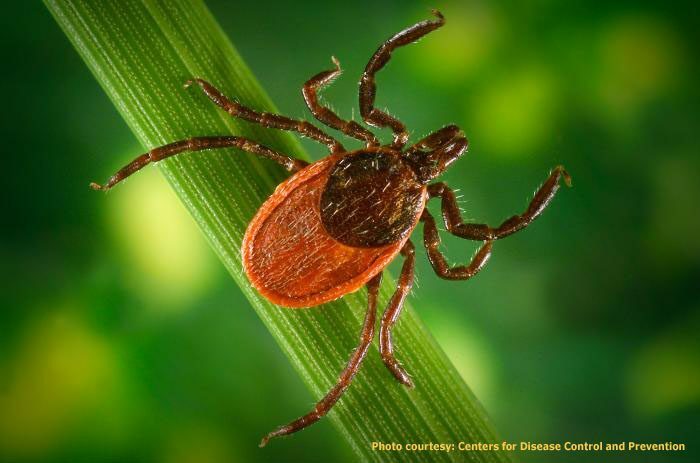 People need to take precautions to prevent tick bites which can carry diseases such as Lyme disease. The Ohio Department of Health is reporting 241 cases of Lyme disease in 60 counties so far in 2017. Cases of Lyme disease have steadily increased in Ohio during the past 5 years with 93 cases in 2013, 119 cases in 2014, 154 cases in 2015 and 160 cases in 2016. The increase in cases coincides with the increase of blacklegged ticks in Ohio. Lyme disease is a bacterial disease transmitted to humans via the bite of an infected deer tick. Symptoms can include a flu-like illness, muscle pain, and headache; a bull’s-eye shaped rash is often also seen at the site of the bite as well. Fall hunting season has begun and deer gun season begins on Nov. 27. The Ohio Department of Natural Resources is reminding sportsmen and sportswomen that hunting brings you in close contact with ticks and their habitats, so it is important to take the proper precautions to reduce your chances of being bitten. When possible, walk in the center of trails and paths to avoid brushing up against ticks. Apply bug repellent to everyone in your party, including pets. Tuck your pants into your boots or socks and tuck your shirt into your pants to prevent ticks from crawling inside clothing. Shower immediately after returning from the outdoors to remove unattached ticks. Check dogs for ticks after returning from tick habitats. Remove any attached tick immediately by grasping it with tweezers, as close to the skin as possible, and pulling it straight out. Do not twist or jerk. There are currently no vaccines to prevent tickborne diseases. If detected at an early stage, Lyme disease can be treated successfully with appropriate antibiotic therapy. For more information about Ohio hunting season, go to www.ohiodnr.gov. For more information about ticks and Lyme disease, go to www.odh.ohio.gov.